When drawing vegetation items, you must adhere to the following rules. 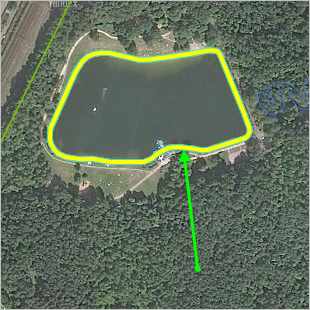 Draw them regardless of their size (to the extent that the satellite image allows). 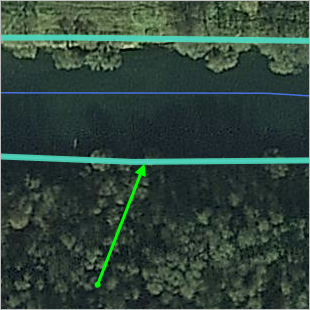 You can draw individual trees located at some distance from the greater woodlands area or other trees if they are visible on the satellite image. Don't draw individual trees within the vegetation polygon (such as a woodland area or garden). If a tree is a local attraction that has cultural or historical significance, then draw it using a placemark of the “Locations” category of the “Culture and recreation — Attraction” type (see section 3.6.2. Rules for additing attributes to places (organizations)). 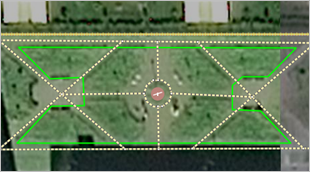 Draw vegetation items of the “Park, square”, “nature reserve”, or “Cemetery” types either based on the borders of their territories (i.e. 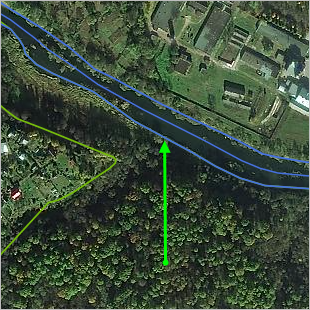 their fences) or based on the vegetation border (for example, where the vegetation meets a road). You do not need to pay special attention to rounding the corners when drawing vegetation items. Beyond the territories of regularly developed areas, vegetation may intersect with motorways drawn using one line or railways. 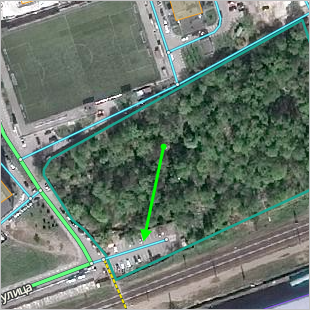 7 (Roads of minimal significance) accessible only to pedestrians and/or bicyclists. 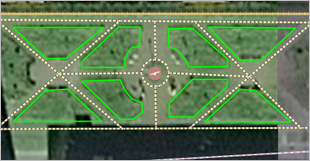 Both outside of and on territories that are regularly developed, vegetation of the “Park, square”, “Nature reserve” and “Cemetery” types may intersect with motorways of any type if these roads are exit ramps to these areas of vegetation or passages through said areas. Only draw lawns that are tended to. 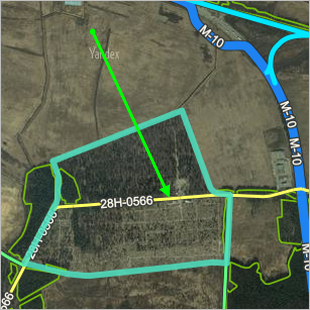 Land plots with damaged vegetation or that are not covered in greenery should not be drawn. Fields, meadows, and empty lots are not classified under this type: don't draw these items on YME. 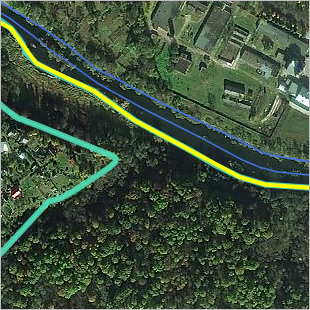 Roads drawn using two lines can not cut through a vegetation item: draw these items along both sides of such roads (i.e. the road divides the vegetation). 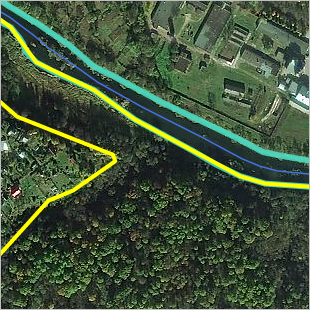 Borders of woodlands that are located along such roads should be drawn based on the actual vegetation borders (not based on the tree canopies) and should not intersect with the road. For information on fields, meadows, and other vegetation items that do not relate to the item types used on YME (i.e. Woodlands, Park, Square, Nature reserve, Lawn, Garden, Cemetery), see section 3.9.2. Rules for adding attributes to vegetation items). For example, you should only draw steppe or tundra (mountain, arctic, etc. tundra) vegetation in cases where it belongs to the “Nature reserve” type (i.e. the vegetation is in a specially protected area). Otherwise, don't draw such vegetation. Vegetation items that partly relate to the types of items used on YME (such as combined forest-tundra greenery) should be drawn in the area that relates to one of the categorized types. To take the previous example, you should draw the woodlands part of a forest-tundra vegetation area (including sparsely forested areas). Vegetation items should not intersect with other vegetation items, but they can share borders with them. However, vegetation items of the “woodlands” and “lawn” types can exist inside the polygons of items of the “park, square”, nature reserve, or “cemetery” types (these latter types are defined based on their use, just as “Territory” items are). 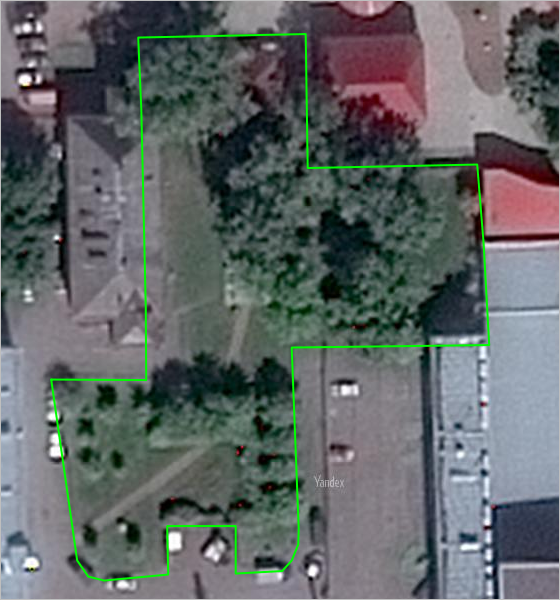 Vegetation items should not intersect with buildings (with the exception of buildings located completely within the borders of vegetation items that are not located in areas of regular development). You should not add new external polygons to un-named vegetation items: drawing such polygons usually leads to mapping errors.